Nowadays spittoon has almost disappear, at least in Hong Kong, there only place you might still be able to see one are in the old tea houses (e.g. the famous Luk Yu Tea House), however, they are used more as a rubbish bin or at most to gather used tea, so luckily you will not see them in action. Before my research for this post, I have always seen spittoon as a very Chinese object, it is very surprising to find out that spittoon was originated from the UK and the USA and that it was a popular object in the 19th century at places where men gathers. The main use for spittoon in the West was for spitting of the chew tobacco, when it was imported to China, it was used as a receptacle for spit (usually of a larger size). 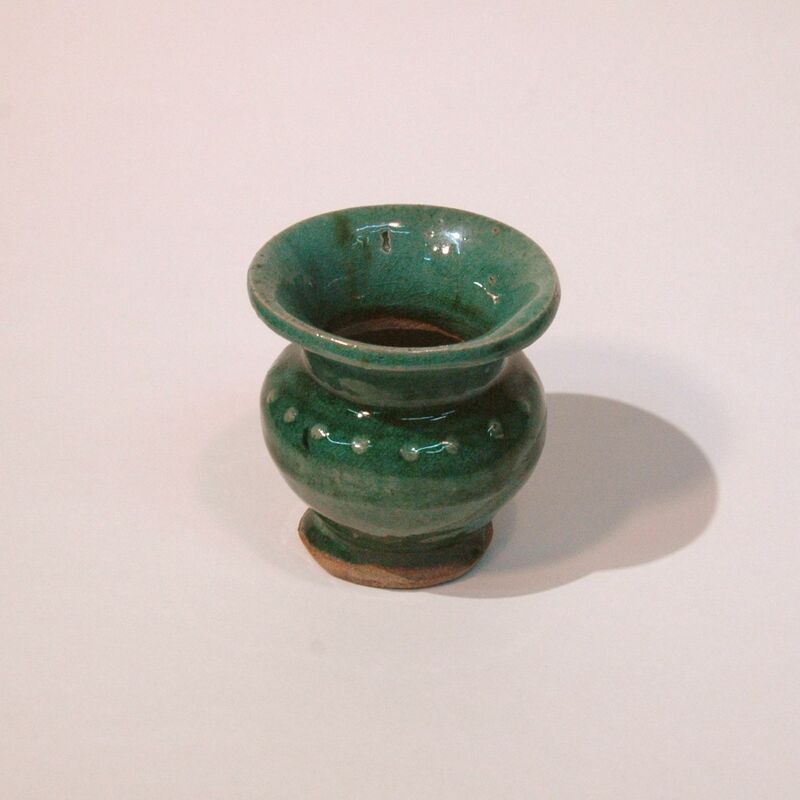 This small spittoon was one of the accessories for smoking opium, it would have been placed on the opium bed within reach of the user.